The following information was taken from the closed beta field testing of Pokemon Go. If you are new to Pokemon Go be sure to check out the Ultimate Pokemon Go Beginner's Guide! Beta refers to a phase within a software development’s schedule where users test software for bugs, crashes and/or data loss. There are two types of Betas, Open and Closed. The difference between the two is that Open Beta tests are normally released to the public, while Closed Beta Tests are limited or restricted to a select number of invited participants. - Beta participants must live in Japan, new Zealand or Australia. - Mobile Requirements: Android v4.3 or later/iOS for iPhone 5 or later. Check to see if you meet the Phone Requirements for Pokemon Go. - Pokemon Go will require either a Wi-Fi connection or a Mobile Data Plan. If you intend to play Pokemon Go make sure to check out the best ways to reduce data usage. - Many signed up for a chance to participate in the Beta, but only a small percentage were given access. - Compared to the Android version, the iOS version had very limited participation slots. - Winning participants were notified with an Official E-mail containing the Pokemon Go Beta agreement. - Testers were not given any type of compensation for participating in the Beta. - Game Data from the Beta test will be erased and therefore will not carry over to the final release. Pokemon Go expected to release sometime in 2016, but there is still some speculation that it will be delayed to 2017. - Transferring, selling, or lending accounts to others is strictly forbidden. - Any Testers found leaking Beta gameplay, or information such as images or videos will have their accounts banned. 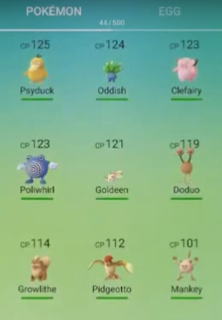 - Each account has an “almost” invisible watermark that allows Niantic to track down leakers. Note: Be sure to check out the Beta Gameplay Videos. 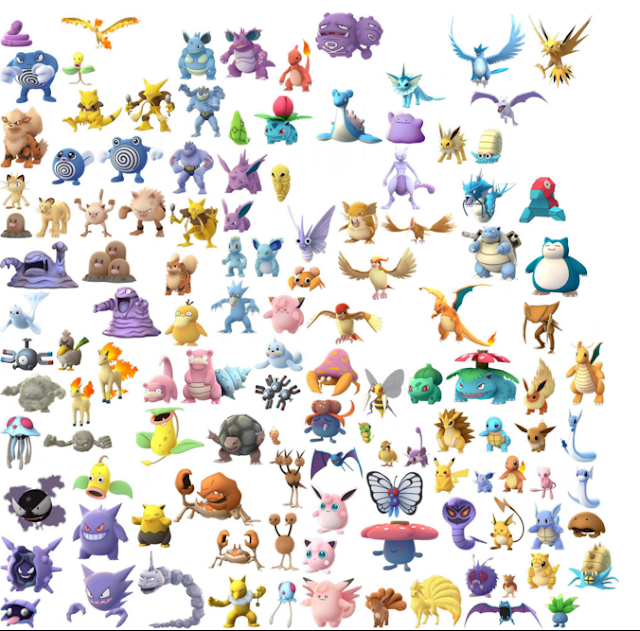 It has been confirmed from the Beta Testing that all 151 Pokemon from Generation One (Pokemon Red, Blue and Yellow) will be in Pokemon Go. 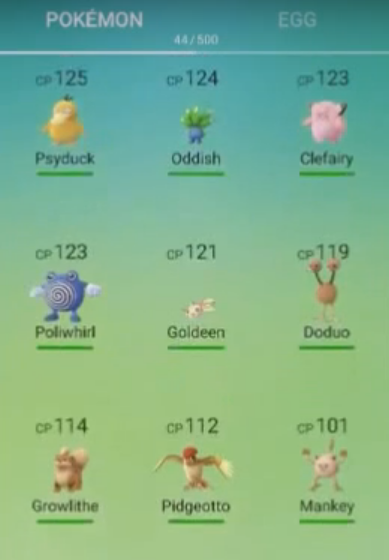 In addition, all eighteen Pokemon Types will be available in the game. These types include Grass, Fire, Water, Poison, Bug, Dragon, Ice, Fighting, Flying, Ghost, Ground, Electric, Normal, Psychic, Rock, Dark, Steel and Fairy. In addition to different Types of Pokemon, each Pokemon will have one of three Rarities and one of seven Natures. 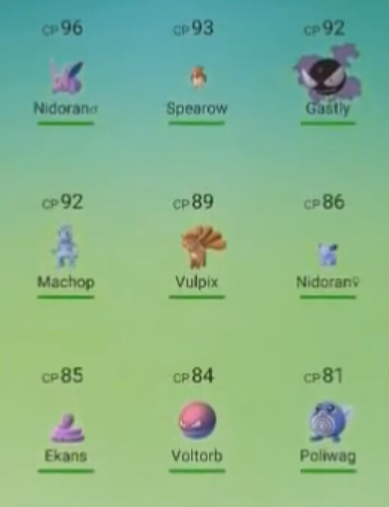 There will be three different rarity classifications of Pokemon. Normal Pokemon - will include all common types of Pokemon such as Caterpie, Magikarp, Rattata, etc. These will be the easiest Types of Pokemon to find, but will likely be the weakest in battle. Legendary Pokemon - will include all uncommon types of Pokemon such as evolved forms of certain Pokemon. Legendary Pokemon will be relatively difficult to find in the wild, but will generally be more powerful than Normal Pokemon. Mythic Pokemon - will include the rarest Pokemon such as Mew and Mewtwo. These Pokemon will be very difficult to find and capture, but will be much more powerful than Normal and Legendary Pokemon. - Pokemon will get stat boosts dependent on their Nature. 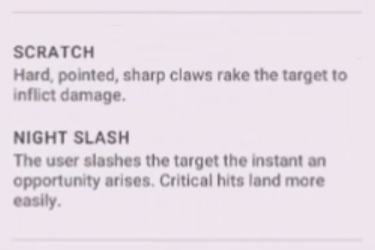 For example, Pokemon with the Guardian Nature may get Defense boosts in battle, while Pokemon with the Assassin Nature may get Attack boosts in battle. - Other suggestions include Stat boosts to Pokemon when they Train in Gyms. - Natures will add an element of uniqueness to individual Pokemon. 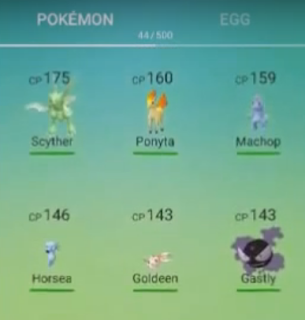 - In Pokemon Go, each Pokemon will have two different moves available to use. - Each Pokemon will have one quick attack and one “charge” attack. - There were a total of 232 moves (95 quick moves) found by Beta Testers. - Some moves are upgraded or replaced at different trainer levels. Heal: Pokemon can have their Health restored possibly either by Moves or Potions. Accuracy Chance: Not all moves have 100% accuracy. 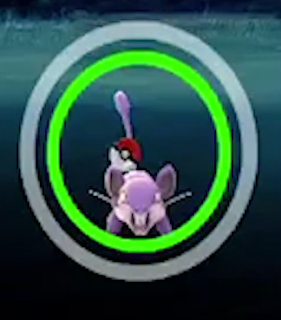 Critical Chance: Some moves have a chance to do extra damage. Stamina Loss: Stamina is used by Pokemon to perform Moves in battle. Trainer Level Min/Max: Each player’s Trainer Level will play a role in battles. "Levels" in Pokemon GO have been replaced with 'CP (Combat Points)' - which is a general 'Power' metric. The higher the CP the more powerful the Pokemon. Wild Pokemon of the same species have been sighted with different CP levels. Based on the information gathered from the Beta Test so far, there will be a great degree of Pokemon uniqueness within Pokemon Go. Two Pokemon of the same species (Eg. Two Charmanders) could have different Stats (Attack, Defense, Stamina), Natures and CP. These varying factors greatly limit the chance of two Pokemon being exactly the same. Capturing Pokemon is the heart and soul of all Pokemon games. Just as in previous games, you will be able to travel the world and capture Pokemon. However, in the Pokemon Go Closed Beta Test, battling wild Pokemon was not an option to Testers. - In the closed Beta field test, users did not get a starter Pokemon. Based on this information, it looks like the first Pokemon you catch will be your “Starter”. I kind of like this as it gives a more “Real Life” feel to the game. Each Trainer will start out with a weak Pokemon close to his/her location. He or she will then have to travel the world to capture and Train more Pokemon with the goal of creating the most powerful Pokemon team possible. - Users will travel within the real world looking for Pokemon to show up on their map. - When encountering a Pokemon, you can throw Pokeballs by flicking your finger across the screen of your smartphone. - Poor Pokeball throws may result in a failed capture. - Pokemon can break free from Pokeballs. - After too many failed attempts, Wild Pokemon can flee from an encounter. 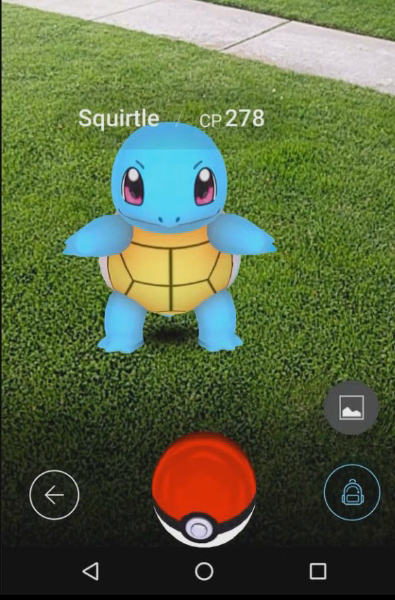 - Users can access inventory to switch between Pokeballs during the encounter. - Higher tier Pokeballs will offer a higher probability of capture. - Wild Pokemon will have a certain amount of CP. The higher the CP the more difficult a Pokemon will be to capture. It has been suggested that CP stands for “Combat Points”. - Trainer’s can throw Pokeballs in different ways to increase gained EXP and improve the probability of capture. - Users can switch between Augmented Reality Mode and Normal Mode. - Berries can be used during encounters. It has been suggested that Berries may improve the capture rate of wild Pokemon. - Wild Pokemon have the ability to “Attack” during encounters. It has been suggested that Wild Pokemon attacks may reduce a Trainer’s energy. If a Trainer’s energy gets too low the capture attempt will fail and/or the Pokemon will flee. - There has been no information to suggest that a Trainer or a Trainer’s Pokemon can attack a wild Pokemon back. 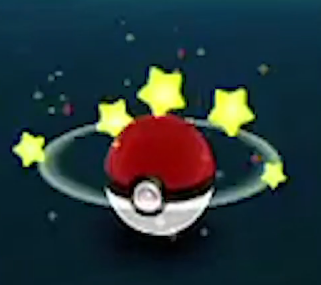 - Players will be able to hold up to 500 Pokemon in their inventory at Trainer Level 50. - The option to release Pokemon is available. - Pokemon Evolutions occur through Crystals/Evolution Stones. - Every time you capture a Wild Pokemon, a shard of an evolution crystal will be credited to your account. - These shards will be collected and tracked automatically. - Once enough shards are collected the crystal will be filled, and you will gain the opportunity to evolve that particular species of Pokemon. 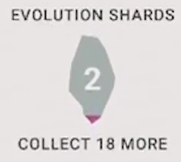 - Once evolved, the species’ crystal counter will then reset to One Shard for the beginning evolution and add One Shard for the Evolved. - Each Pokemon species will have their own distinct shard count. - Two Stage Pokemon need twenty Shards to evolve (Eg. Collect 20 Rattata Shards to evolve into 1 Raticate). - Three Stage Pokemon need ten Shards to evolve (Eg. Collect 10 Bulbasaur Shards to evolve into 1 Ivysaur. 10 Ivysaur Shards needed to evolve into 1 Venusaur). - Fortunately second level evolutions can be encountered in the wild. (Eg. Capture 10 Ivysaurs to evolve into 1 Venusaur rather than having to capture 100 Bulbasaurs). - Specific Pokemon may have different shard requirements. (Example: Magikarp requires 100 shards to evolve into Gyarados). - Pokemon can be released once caught. The good news is you get keep the shard even if that Pokemon is released. - CP is a measure of a Pokemon’s power. When Pokemon are evolved they will see a significant increase in CP. Beta Testers have witnessed a 300+ CP increase for a second stage evolution. - Final stage evolutions will be much more powerful than their first stage. I hope this information was helpful. Please feel free to share your thoughts in the comments below.